Where the ball bounces... What does that mean? It means that you have no control over what happens to you any more than one has control over where a ball will bounce. We have the ability to control ourselves but not what happens to us or what other people do. We need to act responsibly when our circumstances are less than desirable. 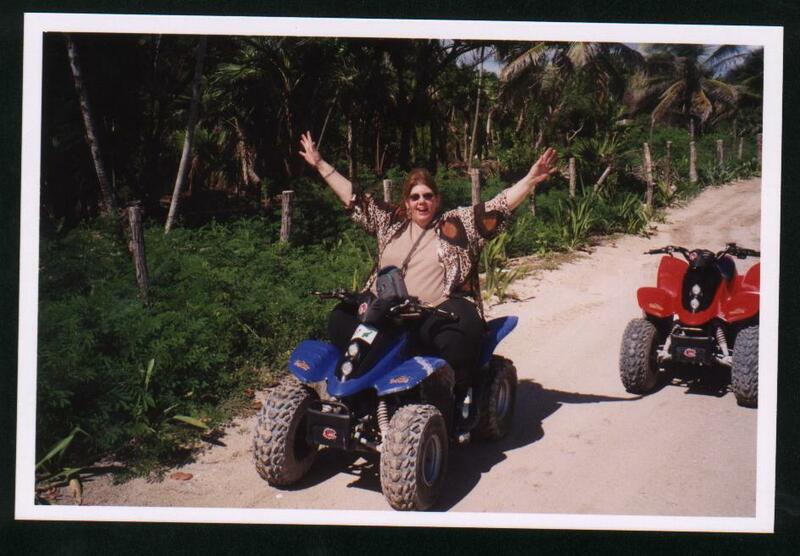 My website is about learning all you can while in any circumstance. As a follower of Jesus Christ it is of utmost importance that my view reflect God's Word. 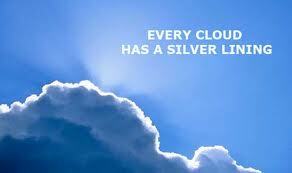 Do you see the silver lining in your clouds? 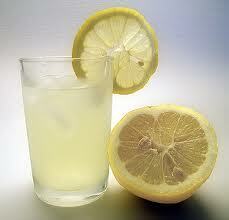 Do you make lemonade from the lemons in your life? 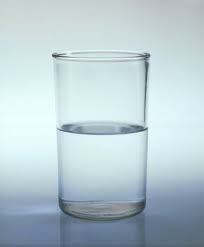 Do you choose to see the glass as half full? Circumstances don't determine your character, they reveal it. _The Bible says that both good times and bad are made by God (Eccl. 7:14 In the day of prosperity be joyful, but in the day of adversity consider: God also hath set the one over against the other, to the end that man should find nothing after him). If we look at our circumstances as being from God but fail to equally consider His attributes our perspective is seriously warped. Here is an analogy that has helped me: Binocular (two-eyed) vision gives precise depth perception. Singleness of vision or binocular fusion, in which a single image is seen despite each eye's having its own image of any object results in lack of depth perception. If you are looking at an object through only one eye you lack seeing the object as it really is. When we fail to see the goodness of God in conjunction with the adversity that God causes we fail to see those circumstances for what they really are. From the loving hand of God for our good. If we fail to embrace that truth we will fail to learn and grow. Matthew Henry gives a rather insightful commentary on Eccl. 7:14. Allow me to rephrase it for the sake of simplicity: Our faith needs to remain the same in all conditions, but that faith needs testing and exercising in our outward circumstances so that we will walk after the Lord. In the day when things are going well (and it is but a day in light of eternity), we must maintain a holy joyfulness and serve the Lord with gladness of heart in our abundance. The joy of the Lord is our strength. The times of affliction (and that is but a day too) are proper times for consideration. Hag. 1:5 Now this is what the LORD Almighty says: "Give careful thought to your ways. Without proper consideration, which we must incline ourselves to, what good can come from our affliction? Seeking God's reason for afflicting us is our proper response. James 1:5: If any of you lacks wisdom, let him ask of God, who gives to all liberally and without reproach, and it will be given to him. Proper consideration is also necessary to our comfort as without it we may harbor resentment against God. Not giving proper consideration to our own afflictions is the same as not being involved in your own life. Don't fret if you don't gain insight sometimes as quick as other times or even at all. If you seek to understand and still don't, allow God's timing over your own.